An MS-13 gang member accused of plotting a fatal shooting near the Daly City BART station two years ago was convicted in federal court in San Francisco today of four charges including racketeering conspiracy and murder conspiracy. Danilo Velasquez was alleged by prosecutors to have been one of two shooters who killed college student Moises Frias, 21, and wounded three companions in their car near the transit station on Feb. 19, 2009. Prosecutors contended during the four-week trial in the court of U.S. District Judge William Alsup that Velasquez and two MS-13 members drove to the BART station on a hunt for members of the rival Nortenos gang and mistakenly thought the victims were Nortenos. “In a hail of gunfire, Mr. Velasquez and his co-conspirators killed and wounded four unarmed individuals–all in the name of MS-13,” said Assistant U.S. Attorney Lanny Breuer in a statement from the Justice Department in Washington, D.C. The shooting occurred shortly after 7 p.m. on John Daly Boulevard near Junipero Serra Boulevard. U.S. Attorney Melinda Haag of San Francisco said trial witnesses testified that the gang members boxed in the victims’ car at a red light and that Velasquez and Balam then flanked the car, shooting with semi-automatic guns. She said the testimony indicated that Velasquez wounded three passengers, who survived because his gun jammed several times, and Balam killed Frias with nine gunshot wounds to the head. The third gang member, Luis Herrera, 20, drove the other two to the station, Haag said. Balam is a fugitive. Herrera originally went on trial with Velasquez, but midway through the proceeding pleaded guilty to seven charges, including possession of the gun used in the murder, and admitted participating in the incident. The gun was found in a stolen car driven by Herrera when he was arrested two weeks after the shooting. Velasquez, believed by his lawyers to be between 29 and 32 years old, was convicted of conspiring to racketeer, or engage in organized crime; conspiring to commit murder in aid of racketeering; conspiring to commit assault with a dangerous weapon; and using a gun in a violent crime. He faces a possible sentence of up to life in prison and will be sentenced by Alsup on Feb. 14. Velasquez is one of 34 members and associates of the MS-13, or Mara Salvatrucha, gang who were charged in four successive versions of a grand jury indictment in 2008 and 2009. Thirty-one of the defendants have now pleaded guilty or been convicted of various charges and two were acquitted in previous trials. The remaining defendant, Manuel Franco, is scheduled to go on trial in Alsup’s court on Jan. 4. Prosecutors allege that MS-13, which has roots in El Salvador and Southern California, is a violent international gang that engages in murder, assault, drug dealing, theft and extortion. Members allegedly increase their stature by hunting and killing rival gang members. Horowitz and fellow defense attorney Jennifer Schwartz said they argued during the trial that Velasquez was innocent of the shootings and was not proved to have been present at the incident. They alleged that a key prosecution witness, MS-13 member Wilson Villalta, who testified that he arrived at the scene shortly after the shootings, lied to protect himself. Villalta was a passenger in the car in which Herrera was arrested on March 4, 2009. The defense attorneys said they also contended that Velasquez lacked the mental ability to engage in conspiracy because of physical and psychological abuse he suffered during his childhood in a remote Mayan village in war-torn Guatemala. “He was a low-level guy who had tremendous psychological problems to the point of hearing voices that commanded him to kill himself,” Horowitz said. Schwartz said Velasquez came to the United States when he was 12 or 13 and that his exact age is unknown, but he is believed to be between 29 and 32. Most of the 34 defendants named in the case, including Velasquez and Herrera, were alleged to have belonged to an MS-13 branch based in the area of 20th and Mission streets in San Francisco. Horowitz said Velasquez was “a minor member” of the gang. But Haag said Velasquez “assumed leadership on the streets and encouraged the remaining members of the gang to engage in violence in order to demonstrate their continued presence” after the first 29 defendants were indicted on Oct. 16, 2008. Six of the other defendants were convicted of racketeering conspiracy, murder conspiracy and other charges in August after a five-month trial in Alsup’s court. 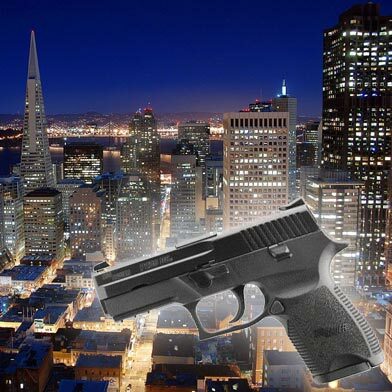 Three of them were also found guilty of carrying out three gang-related murders on San Francisco streets in 2008. Five of those men are due to be sentenced by Alsup on Wednesday and the sixth, Guillermo Herrera, 22, who is Luis Herrera’s brother, will be sentenced on Dec. 7.